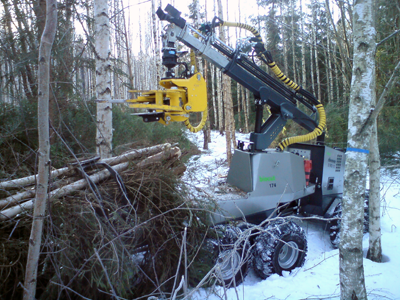 Radio-controlled bio-energy harvester that fells and bunches energy-wood in young-growth forest and on wet terrain. We use the Kesla felling head on Forest ebeaver. Ebeaver AB is looking for Importers/National Sales Managers outside of Sweden, responsible for importing and selling our equipment as well as provide general repair and maintenance services, including spare part sales. Experience in forestry (to understand the principles of ebeaver operation) as well as general technical knowledge of forestry machinery and equipment are desired. For further questions, please contact us.